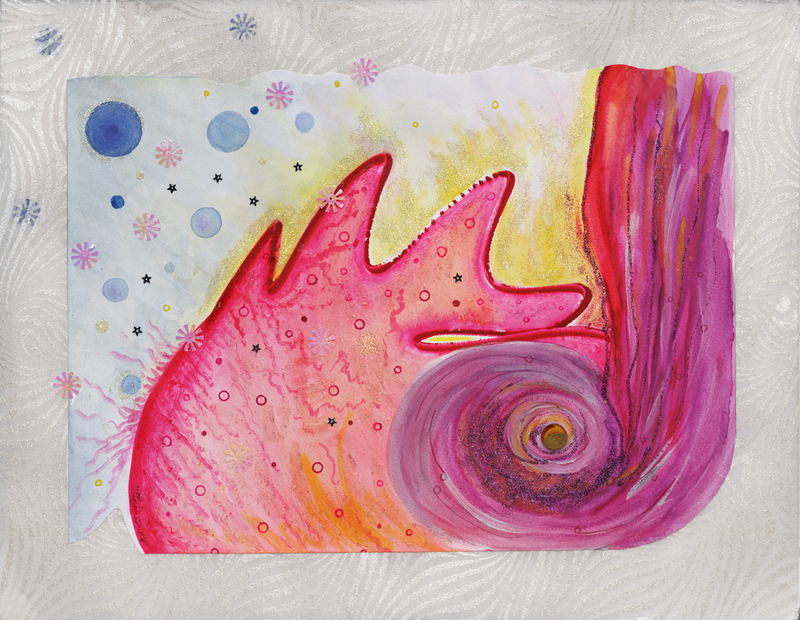 This watercolor and mixed media on paper was inspired by Romio Shrestha's commentary about a Tanka painting in his seminal Celestial Gallery book. "When you seek prosperity for all of humanity, the realm of Chintamani Mahakala opens before you, offering an abundance of wish-granting jewels. When you seek wealth only for yourself, you compete against all other human beings". The wish-granting jewel is the Light Within us all, and this painting is a powerful example of it!